Set to host this year’s JACL National Convention in July, Utah’s vitally important JA heritage plays a large role in its rich history. JACL’s Salt Lake, Mt. Olympus and Wasatch Front North chapters are hosting the 2019 National JACL Convention in Salt Lake City, Utah. 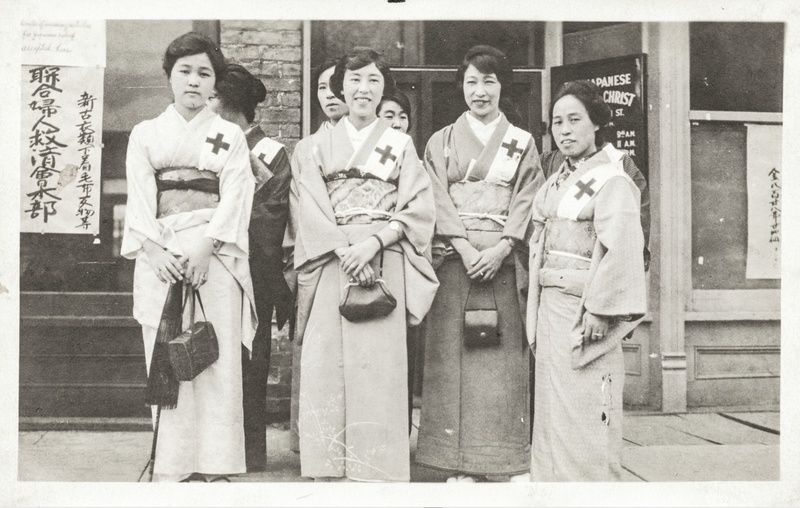 Many may wonder why Utah has three JACL chapters in a “place like Utah.” However, Utahns and Utah have a long, fascinating and prominent place in Japanese American and JACL history. We hope you will join us at this year’s upcoming National Convention to learn more about who we are. Japanese Americans are a significant part of Utah history. Those who chose to come to Utah faced racial prejudice and economic hardship. Many of the Japanese Americans who reside in the state today arrived there because they were wrongfully incarcerated in American concentration camps during World War II. It may not seem obvious, but Japanese Americans play a crucial role in understanding not only Utah’s history but also the history of the United States as a whole. Japanese immigration to Utah began in the latter parts of the 19th century. Chinese immigration was halted with the passage of the Chinese Exclusion Act of 1882, and Japanese laborers were utilized to fill the void. This act of law was made permanent in 1904 and was the predecessor to the immigration limits enacted in 1924. 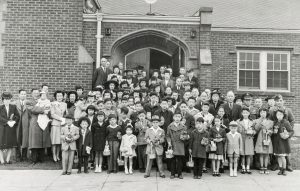 Up to this point, there were not many Japanese immigrants residing in the U.S., but with the ban on Chinese immigrants in effect, many Japanese left their ancestral home in search of economic freedom and opportunity. As a result of the Chinese Exclusion Act, there was a need for cheap, sustainable labor. In 1884, an agreement between Hawaii and Japan led to a spike in Japanese immigration. More than 83,000 Japanese immigrants (mostly sugar planters) had arrived in Hawaii by 1899, and a total of 199,134 Japanese resided in Hawaii by 1924. Similarly, Japanese immigration on the West Coast of the mainland U.S. increased after the Chinese Exclusion Act. Between 1888 and 1924, more than 200,00 Japanese immigrants had made their homes in the Pacific states of California, Oregon and Washington. In Utah, the first Japanese immigrants were a group of women brought as prostitutes for the Chinese and white railroad workers in 1882. After Chinese immigration was halted, Japanese laborers were brought in to continue work on the railroad. These laborers were likely the first to settle in and around the Salt Lake Valley. By 1920, there were 2,936 Japanese people living in Utah, according to the United States census. Many of these immigrants were recruited by Japanese labor agents from the Hashimoto family. In 1902, Edward Daigoro Hashimoto founded the E.D. Hashimoto Company, a labor agency located in Salt Lake’s Japantown in the heart of the city. Although the same employment standards that were afforded to white laborers were not offered to people of color, Japanese laborers found work wherever they could. Along with work on the railroad, Japanese people worked in coalmines, as housemaids and as farmers. Those who worked in agriculture brought traditional farming practices from Japan, which helped to facilitate their success in the state. The Japanese community throughout the state sought to maintain their cultural identity and traditional practices. The first Japanese-language newspaper was the Rocky Mountain Times, which first began publication in 1907. In 1914, the Utah Nippo began publication, around the same time Japanese fish markets and businesses opened their doors. The community began to thrive. Japanese people also established Buddhist churches in Ogden and Salt Lake City in order to fully engage in religious life. By 1918, both Buddhist churches established fujinkai (women’s clubs), which helped address the needs of women in the community. Along with these traditional forms of religious expression, in that same year, the Japanese Church of Christ in Salt Lake City was established. Despite the many gains Japanese Americans had achieved up to this point, public perception of the Japanese community, particularly Japanese laborers (who posed a threat to white class interests), were at an all-time low. Much like the Chinese immigrants of the past, Japanese culture was viewed as backwards and strange, thus confirming in American minds that Japanese people were not viable candidates for citizenship. Although there was never full segregation of schools in Utah, Japanese children were increasingly excluded from extracurricular activities. The Johnson-Reed Act of 1924 set harsh immigration quotas not only for Japanese immigrants, but all of Asia, as well as most nonwhite countries in the world. This discrimination and exclusion from public life would increase in the 1930s and come to a head when Japan attacked Pearl Harbor on Dec. 7, 1941. The attack on Pearl Harbor would lead to widespread panic and hysteria. Japanese graves, as well as Japanese-owned businesses, were vandalized in the immediate aftermath. Life anywhere in the U.S. for Japanese Americans was unforgiving and, at many times, dangerous. In the following months, Franklin Delano Roosevelt, the 32nd president of the United States, signed Executive Order 9066 on Feb. 19, 1942, which allowed for the removal and incarceration of more than 120,000 people of Japanese descent, the majority of whom were U.S. citizens, from the West Coast of the United States. The publicly stated rationale for such incarceration of U.S. citizens was to ensure the safety of the nation, but historians have noted that many people in FDR’s sphere of influence deemed the Japanese population in the U.S. as not being a threat. Additionally, the vast majority of Japanese in Hawaii were not incarcerated because they were vitally important to the economic function of the islands, whereas in California, they were not, further pointing to the fact that Japanese incarceration was not about national security, but instead about economic gain and racial division. There were 10 incarceration camps located in seven states; Arizona, Arkansas, Colorado, California, Idaho, Utah and Wyoming. Just more than 11,000 Japanese Americans were sent to Topaz, a camp built near Delta, Utah, where they would spend the next three years of their lives. The Utah legislature considered incarceration of Japanese in Utah, but it never passed. However, lawmakers did pass legislation prohibiting the purchase of land by immigrants. At this time, the Japanese American Citizens League was forced to relocate to Salt Lake City. The first JACL Credit Union was established in the area in 1943 and was vitally important in securing loans and economic certainty for Japanese Americans after WWII. Mike Masaoka, a University of Utah graduate, was the National Secretary of the JACL, and he worked tirelessly to advocate for Japanese Americans. Masaoka was one of the leading advocates for Japanese Americans being allowed to volunteer for the draft. In 1943, the U.S. government gave Japanese Americans the opportunity to volunteer for the draft. A large number of young Japanese men — from both within and outside of the incarceration camps — volunteered for the Army, thus forming the segregated 442nd Regimental Combat Team. Many Japanese incarcerated in Topaz fought and died for a country that had stripped them of their most basic civil liberties. The 44nd became the most-decorated unit for its size and duration in American military history and came to be known as the “Purple Heart Battalion” for the amount of Japanese American soldiers killed or wounded in the war. For those incarcerated inside the camps, life was hard, but they managed to form a community within their harsh confines. Incarcerees formed schools and baseball leagues. Near the end of the war, many were allowed to get jobs outside of camp. However, despite this newfound community, most longed to be free and wondered when, if ever, they would be allowed to go home. The end of World War II brought new fear to those who had been incarcerated. With only what they could carry, a train ticket and $25 given to them by the U.S. government, many Japanese Americans faced the reality that society did not accept them as equal citizens. Just as they had before the war, Japanese Americans faced prejudice and hate in everyday life. Most families were afraid to express their cultural identity in any significant way because of the persecution they were confronted with. Many who were incarcerated in Topaz stayed in Utah. In 1947, Japanese were again allowed to buy land in Utah with the repeal of the Alien Land Act. In 1950, there was a reported increase of 1,183 Japanese residents in Utah. Of those who stayed in Utah, many relocated to Salt Lake’s Japantown, which grew in population and size. Those who didn’t find work in the city found jobs as rural laborers and became vitally important to the supply of farm labor after the war. As Japanese Americans in Utah gained full control of their own lives, they were eventually able to buy their own lands and control their economic future. This economic upturn took a big hit in 1967 when city officials used eminent domain laws to force the Japanese community to leave the area deemed “Japantown” to make way for the proposed Salt Palace, the main event center for the city. 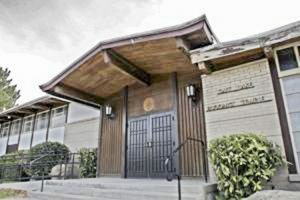 The only remaining structures from Japantown today are the Japanese Church of Christ and the Salt Lake Buddhist Temple. This issue is still highly important for Japanese Americans in Utah. For them, history has been a series of gains and losses. For the few Japantowns that remain throughout the country today, development in the area continues to encroach and threaten what remains of a vibrant community. In 1988, President Ronald Reagan signed the Civil Liberties Act, which granted a formal apology and reparations of $20,000 to each individual wrongfully incarcerated during WWII. Although this is may seem to be a substantial amount of money, many have criticized this action as not being equal to the suffering the Japanese American community underwent during WWII. Additionally, many have criticized the precise language used in the legislation, as it does not allow for the possibility of redress and reparations for other historically marginalized communities in the U.S.
Japanese Americans in Utah continued to fight for space in Utah politics and society after the war. In 1947, Wataru “Wat” Misaka was drafted by the New York Knicks of the National Basketball Assn., breaking the color barrier in professional basketball the same year Jackie Robinson broke the color barrier in professional baseball. In 1958, Salt Lake City and Matsumoto City in Japan became Sister Cities, marking a turn in public perception of Japanese Americans in the state. In the same way Misaka broke the color barrier for professional basketball, Judge Raymond Uno broke the color barrier in Utah politics, becoming the first judge of color in the Utah court system in 1974 and eventually working his way to become the first judge of color to preside over a district court in 1985, when he was elected to Utah’s Third District court. In 2005, Floyd Mori, a longtime Japanese rights advocate and Utah native, became the interim director of the National JACL after tireless work in the Mount Olympus chapter. In present times, Japanese Americans continue to make a difference in Utah politics. Jani Iwamoto, a state senator from Salt Lake City, proposed legislation in Utah to curb the amount of gun violence in public universities in the state. Japanese American voices in Utah remain important and necessary in order for the government to remain responsive to its constituency. Despite the many injustices forced upon Japanese Americans in Utah, the community in the state remains active and healthy. Although many of the Issei and Nisei voices from the past are gone, their legacy and sacrifices have not been forgotten. As we move toward the future, it is vitally important to preserve our cultural heritage so our history is never forgotten. Our history does not only help us protect the Japanese American community, but it also can help us protect other oppressed groups that are in need of justice. To learn more about JA and JACL history in Utah, please join us in Salt Lake City at the JACL National Convention on July 31-Aug. 4. This year’s convention will also feature several exhibits, including Salt Lake’s Japantown, sponsored by the J. Willard Marriott Library, Special Collections Dept., and the Golden Spike Railroad, sponsored by the Descendants of Chinese Railroad Workers Assn. Attendees may also register to visit the Topaz Museum and site as well as visit the LDS Family History Library, the world’s largest genealogical library to find out your own family history. We hope to see you in Utah this summer!